The following blog series by the Sentinel Project’s Steven Kiersons explores how the physical sciences and Western philosophy contributed to the modern phenomenon of genocide and totalitarianism. Kiersons illustrates how the rise of scientism following the discoveries of Galileo essentially supplanted the grounding of human social orders in morality with the foundation of society in mechanistic science, fragmenting morality among movements, ethnicities, and nations, and resulting in nihilism, relativism, and conflict theory. Organization was the key to modern totalitarian regimes and was the driving machinery behind mass killing. The unprecedented organization of genocide made possible death on a scale inconceivable in the past. The so-called “great men,” so central to tyrannies in previous centuries, have in modernity only been relatively minor players in state terror. Throughout human history there have always been men like Hitler or Stalin – men who have been able to act brutally without a trace of emotion – men who ruthlessly pursued power, riches, and glory without any moral voice which might resemble a human conscience. But the sociopaths who led the modern mechanistic state held power over a humanity that had been in the process of mechanization for centuries – a humanity that had ripened to maturity in its propensity for unthinking servitude, ready for the advent of the mass movement, and able to convey ruthlessness and brutality as a machine conveys power from an engine. Modern state bureaucracy and dogmatic science combined to form the essence of the modern killing machine. Last week I wrote of one of the most important events that led to the “mechanization” of modern man – the French Revolution. By the “mechanization” of man I mean the alignment of human morality and social organization with mechanistic science, a topic covered in previous blogs. The mechanical child of the French Revolution, the modern bureaucracy, held great potential for efficiency, but like a machine, it could also be commandeered for any end its operator intended. Long before international enterprises of death were ventured by the USSR and Nazi Germany, Max Weber, the founding father of sociology, noted the perfection of a system whereby an occupying army could use an existing bureaucracy for its own ends, continuing the smooth operation of state machinery despite a change in ownership. Stalin and Hitler would prove Weber correct. The bureaucratic system that emerged with the modern state was inspired by the revolution of mechanistic physics; it evolved hand-in-hand with the Enlightenment and professionalization of Europeans. Compartmentalized, specialized, and grounded in the scientific principles lauded by Weber, it was by far the most efficient and logical way to rule modern man. Blinded by the invisibility of the scientific worldview, physicists, botanists, biologists, sociologists, and physicians discovered in their respective fields that everything was a mechanical process, and as man began to see himself and his universe as a machine he could conceive of no more natural a governing system than the modern bureaucratic apparatus – an amalgam of hierarchy, processes, procedures, and rules. The banal nature of modern evil owes its unique modus operandi to bureaucracy. Each office and each official became a metaphorical cog in the state machine performing its functions blindly and without responsibility. But the prime success of communism and fascism was that totalitarian ideology itself necessitated the development and perfection of the bureaucratic system; totalitarian theory and the soulless mechanism of bureaucracy were inseparable. Sadistic madmen may have found their outlet in the wholesale slaughter of Europe, but the vast majority of the components of modern scientific murder were ordinary human beings – stamping documents, enumerating property, writing orders, guarding trains. Not surprisingly, bureaucratic machines, representing a revolution in governance in their ability to manage unprecedented populations, were the most efficient killing machines man had ever conceived. No previous social pathology had ever produced the factories of death organized in Europe in the twentieth century. Once directed, they operated blindly, using the fruits of European sociological and technical knowledge to incessantly grind to dust millions of specimens of the genus identified by the objective-sounding “undesirable elements.” Some men, like the influential writer Franz Kafka, seemed aware of the potential for evil held within the modern bureaucratic system. 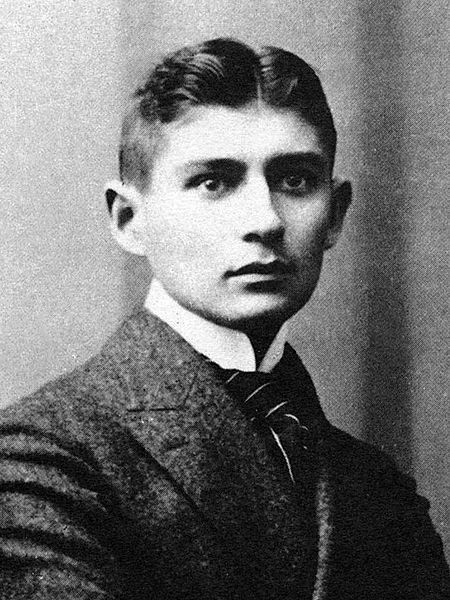 Decades before the advent of Nazi Germany and years before Soviet Russia experimented with mass killing, Kafka envisaged a day where the modern state had devolved into mechanistic apparatus of human oppression – the nightmare of Kafka’s Trial was a perfect, modern, unthinking human machine. Next week we will explore the development of mechanistic philosophy and the creation of mass movements based on the physics of motion, conflict, and struggle, the division of morality among groups, and the consequences of influential ideas.